I’ve said many times that I love all my children, co-workers, and visitors equally. While true, I have a soft spot for first-time visitors. 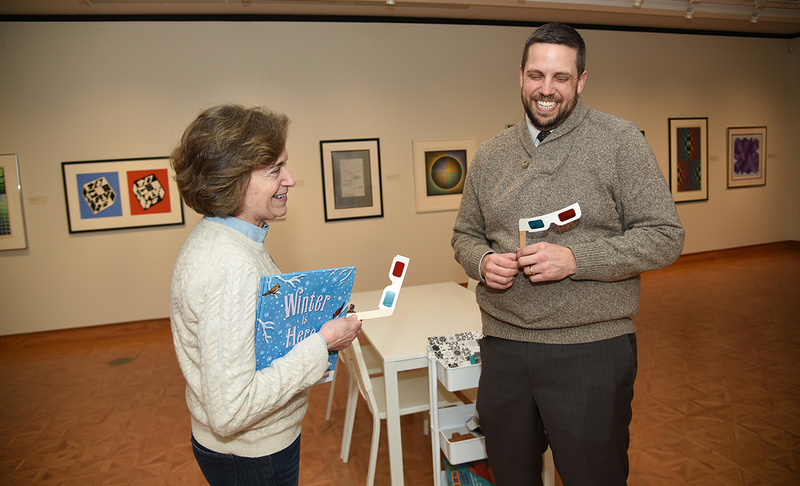 Little did I know when Wausau Police Department Chief Ben Bliven contacted me prior to the holidays about his plans for community volunteering – #seasonofgiving – and his interest in the Woodson Art Museum, that his visit would not only warm my heart, but also be a “textbook” example of first-time visitor awe and delight. Ben agreed to visit the Museum on December 18 during Toddler Tuesday. 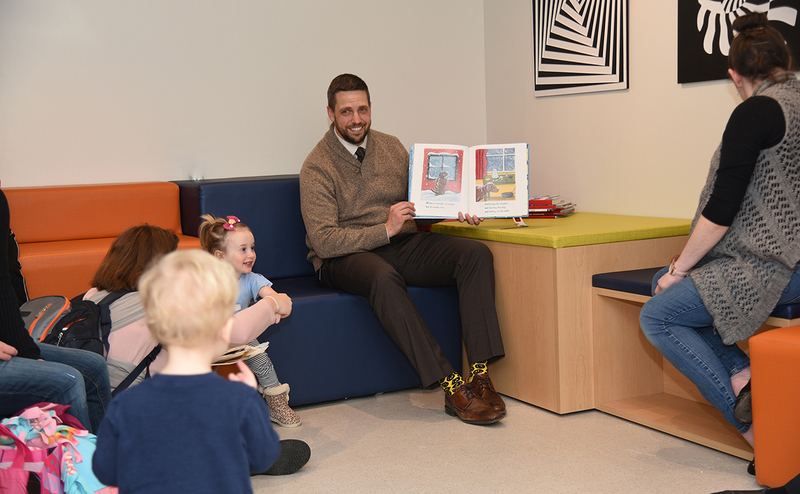 He would read to children and mingle with staff and Toddler Tuesday participants. Marketing and communications manager Amy Beck and I awaited the Chief’s arrival in the Museum’s main entry, while watching eager toddlers race to the door with their adult friends and even younger siblings in tow. 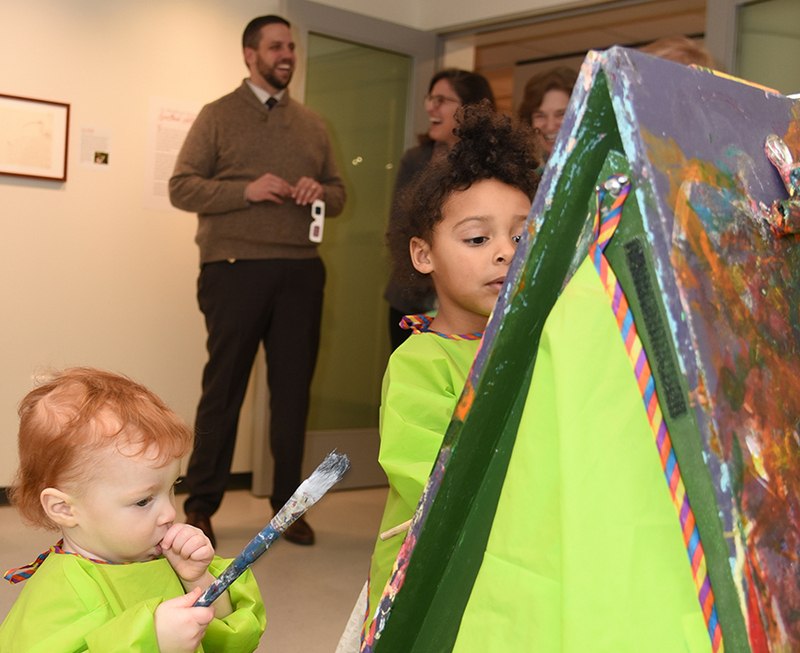 It’s not just the lure of animal and goldfish crackers that propels enthusiastic toddlers to their art museum, it’s the empowerment to engage creative minds and hands at a half-dozen make-and-take stations. A smock-clad little one in front of an easel with a paint brush in one hand and his other thumb in his mouth is a sight to behold. Chief Ben thought so, as did Amy and I.
Ben asked how long the Museum has offered Toddler Tuesday; since the mid-1990s is the answer. That’s a long time and a lot of happy toddlers and their families nurtured by our volunteers and staff. These children have grown up at the Woodson Art Museum, entirely comfortable in Art Park and in the galleries – with or without animal or goldfish crackers [a child-friendly snack is always offered during Toddler Tuesday]. 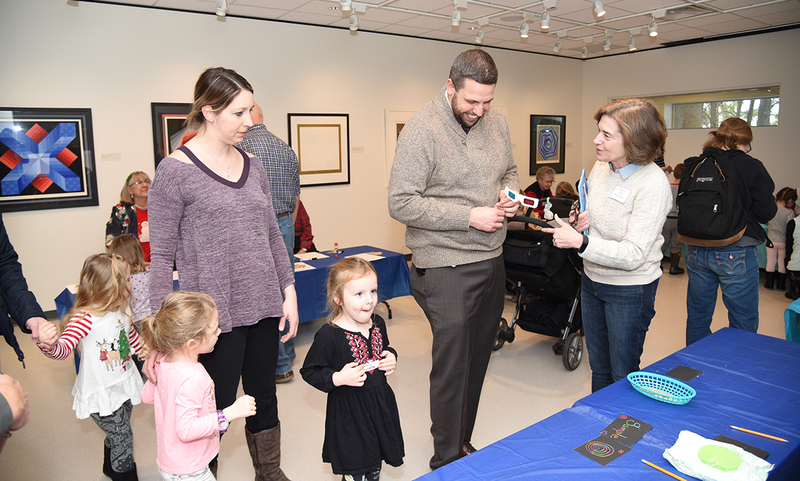 In fact, some of our earliest Toddler Tuesday children are now parents who bring their little ones to the Woodson Art Museum! Taking it all in, Ben mused about missed opportunities with his children, now adults. He offered that when his children were youngsters, he often cared for them during the day as his work schedule involved night-time duty. He wondered aloud why didn’t he bring his children to Toddler Tuesday and the Woodson Art Museum – a rhetorical question. Although the Museum and its many and varied programs weren’t on Ben’s radar years ago, they are now, and that’s the important thing. Chief Ben’s first-time-visit experiences have likely already been shared dozens of times. 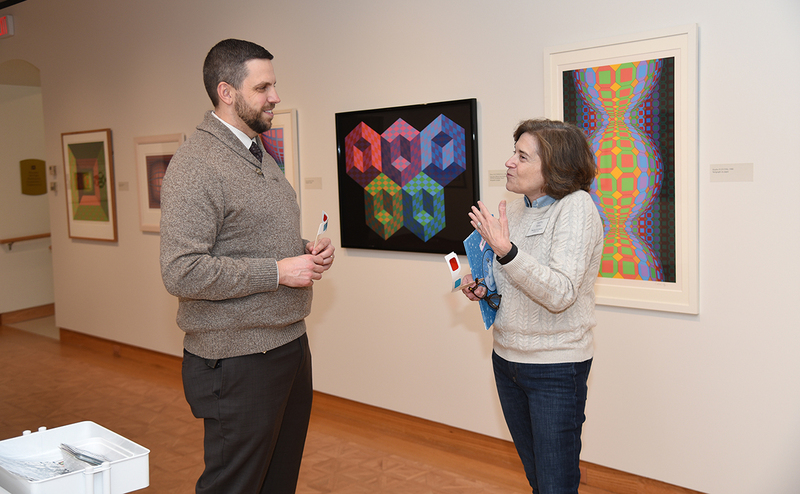 His enthusiasm for the artworks on view and the many ways Museum programs appeal to different interests and learning styles will surely encourage and motivate others to visit the Woodson Art Museum. That’s among the reasons first-time visitors are my favorites. I learn from seeing what we do and offer through their amazed eyes and reactions, and they, in turn, help us spread the word about an extraordinary community resource. Thanks Chief Ben. 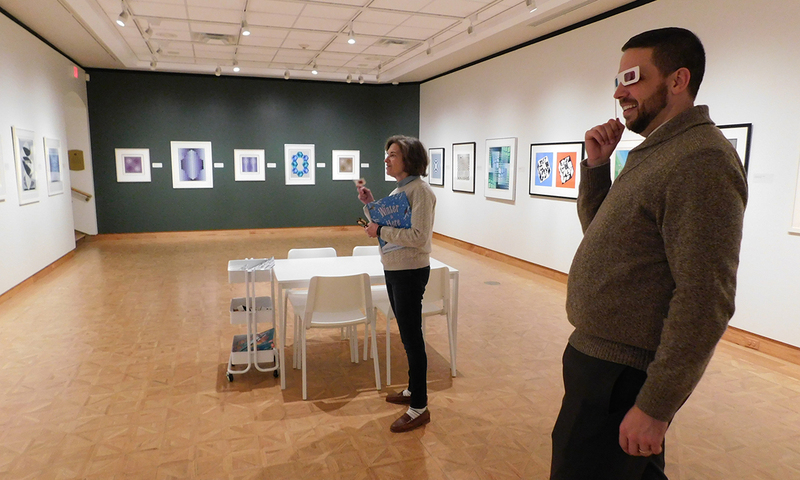 Take the Chief’s advice: make the Woodson Art Museum part of your day-to-day life this year. PS. Don’t forget, the Woodson Art Museum is always admission free!